When a couple is unable to come to an agreement about the division of certain assets, family courts will step in and divide the parties’ marital property equitably. Equitably, however, does not always mean that the assets will be divided equally, as courts take a number of different factors into consideration before making a final decision. This analysis usually requires the identification of the assets that are considered marital property and those that are considered separate property. 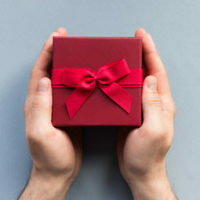 While only a few specific types of assets qualify for the designation as separate, or non-marital property, there are exceptions to these rules that hinge on whether an asset was an interspousal gift. This can be difficult to prove, so if you are going through the process of divorce and believe that a certain asset should qualify as marital property and so be eligible for equitable distribution, you should consider consulting with an experienced property division lawyer who can advise you. Assets and debts specifically excluded from marital property by a valid written agreement. While these categories are fairly straightforward, there are some exceptions. For example, income derived from non-marital assets during a marriage will not be considered separate property if the other spouse contributed to the increase in value. This could include working at or investing money in a business that was started by one of the spouses before the marriage. Similarly, when one of the parties can prove that despite an asset’s designation as separate property, the other spouse actually intended to share a portion of its value by giving him or her an interspousal gift, the petitioning individual may be able to receive a percentage of the property’s worth when the marriage is dissolved. The other spouse surrendered control of the gift. Establishing that another party intended to give the petitioning spouse a gift, also known as donative intent, can be difficult, as either party’s unsupported assertions are not necessarily dispositive of intent. Instead, courts will look for evidence of a clear and unmistakable intention to make a gift in the testimony and conduct of both parties before making a decision. Please contact Sandra Bonfiglio, P.A. 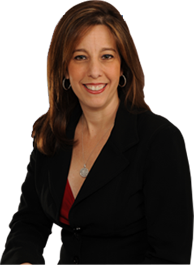 at 954-945-7591 to speak with an experienced Fort Lauderdale property division attorney who can evaluate your case. Help is only a phone call away.